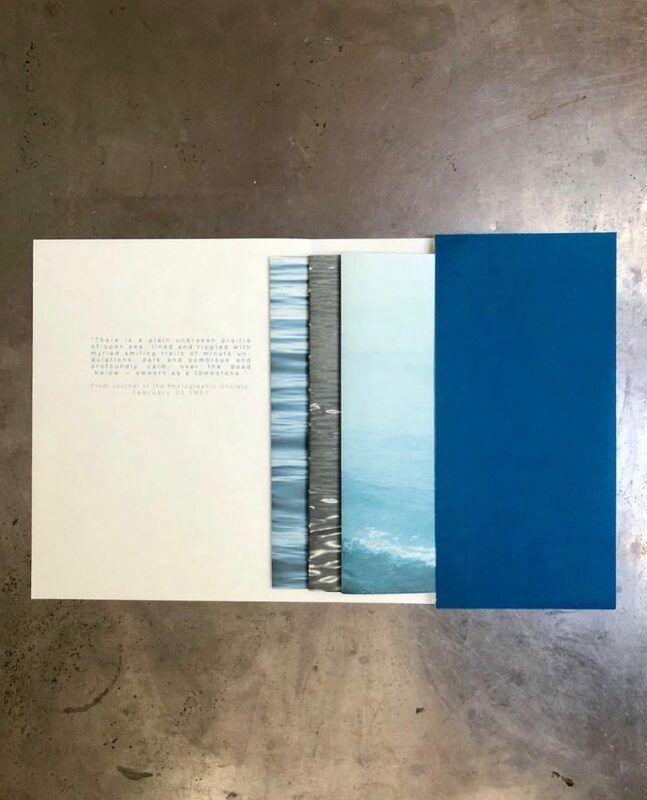 High Tide Montauk Point is a limited edition artist book in three fascicles, sleeved together inside a folder, produced in an edition of 75. Photographed on the bluffs of Ditch Plains with a large format camera, is the plain expanse of the ocean surface. 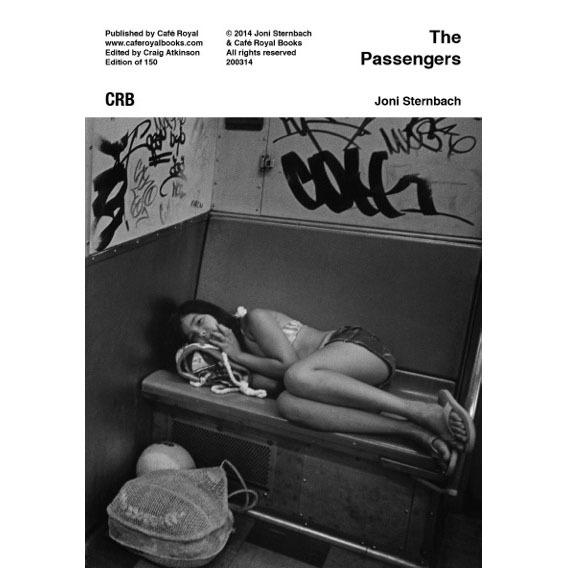 Printed originally in platinum/palladium and cyanotype, this book seeks to replicate the photographer’s intimate experience with her subject matter. Photographed in all weather conditions and devoid of the horizon, these abstract images speak to the emotionality of the ocean and the transformative power of nature. There is a special edition of 25 with a cyanotype print enclosed. Preorder your copy here. 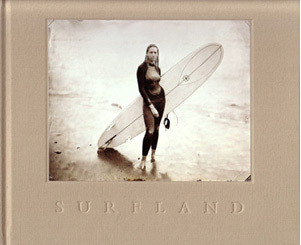 Surf Site Tin Type is an homage to a sport, a way of life and to the people who practice it. Over the last decade, Joni Sternbach has created portraits in tintype of contemporary surfers that put the world of surfing in a completely new light. Stunning in their detail, these unique images evoke the romance of surfing and the strong individualism of the men and women who live to ride the waves. Working with a large format camera and using hand-poured plates, Sternbach has profiled a fascinating range of people, both known and unknown on prized surfing beaches around the world, from Malibu to Montauk, across the ocean to Cornwall, UK to Byron Bay, Australia. Typical surfing photographs are action shots, riding the mighty wave and in vivid color, while Sternbach turns to a historic technique to capture something essential and even primordial in these portraits and settings. Surf Site Tin Type features texts by noted photo critic and historian Lyle Rexer, curator of photography at the Nelson-Atkins Museum of Art, April M. Watson and champion surfers, writers, and filmmakers Chris Malloy and Johnny Abegg. Sold Out, but you can buy a signed copy through me here. “Sternbach makes her photographs in tintype, a labor-intensive technique little changed since it’s invention in the 1850s. Spontaneous and unpredictable, the streaks and tonal variations in the finished photographs reflect their hand-made character, the corners rubbed where they were held in the camera. 36pp., Black and White Digital, 6 x 8 inches. 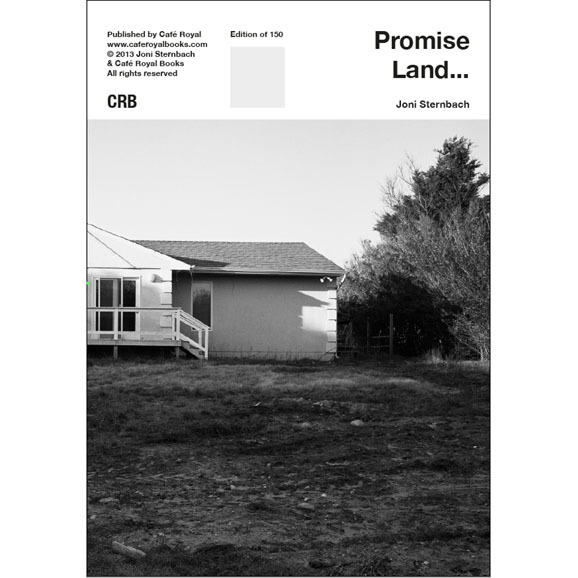 All copies are signed, limited quantities available, please enquire. Only available in Box Set in shop.